The fact that online media is served by ad servers makes all of the difference. With computers placing ads not only can they can be highly targeted, creative run sequentially, and a host of other tricks, but also the business behind the planning and buying changes. Upfronts are replaced by auctions. Mind numbing spreadsheet-based media plans are replaced by a set of rules and budget allocations. Today this business side is only really seen with search marketing and performance-based network buys. But what would happen if all media were served? There are plenty of reasons to see this can and will likely happen. Tablets, slates and e-readers – CES has been overrun. Slate mania has hit USA Today. The HP Slate, the Dell Tablet — these have been expected. But what of the Chinese offer? 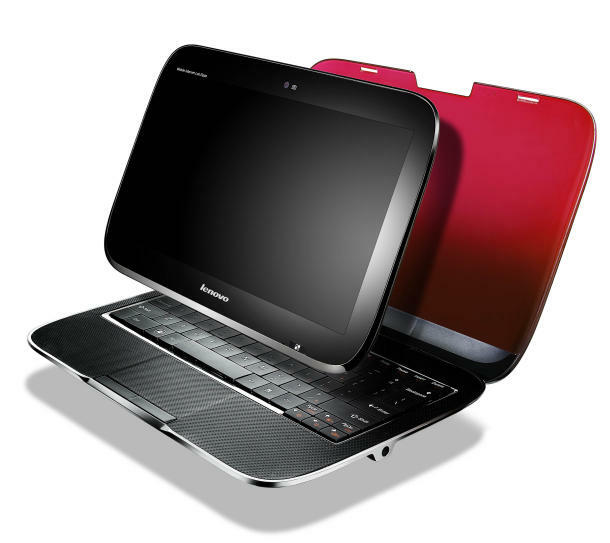 Lenovo’s Ideapad is real innovation. These are the big ones. People spend so much time on their laptops they have to look for new devices — the phone is one, the ereader is another. The reality is getting your media through digital devices offers fundamental improvements to consumers. Like the mobile phone improves on fixed line phones, take up will happen. Internet-enabled TVs – It is true that TV manufacturers have been trying to get us to plug ethernet cables into our TVs for years, but it is only in the last two years that YouTube and Hulu have taken off. Even if the Aussies don’t agree, there is significant attention going into Connected TVs. And again it simply makes sense. This 32, 42, 62 inch screen can do so much more and once the technology is made easy — just like the ipod showed with MP3 players — people will embrace it and start talking to our TVs like Microsoft has imagined in their Project Natal vision piece for the XBox. Digital outdoor continues to advance – I’ve always been a fan of digital outdoor as you can see, and while it is unlikely every billboard will turn into an interactive video display — we’d all be better off if they were replaced with kiosks that are a bit more useful like you see in airports. Ad neworks and ad exchanges – As more media money shifts online, more attention is being placed on the computers that serve the media. Ad networks and exchanges get more confusing the foreign exchange trading systems (check out Ian Thomas’ explanation if you are new to them.) Whether it is social media networks like 33Across (started by Eric Wheeler) or Media6º (where Kathy Leake has been); or performance networks like DrivePM (acquired by Microsoft) and Advertising.com (AOL); or in game media with Massive and IGA; and video networks like VideoEgg (where Troy Young is) and BrightRoll. The reality is that negotiating specific buys with individual publishers doesn’t make sense when your request is more specific then their audience demographic. If you want Men, 25-38, interested in cars, that have recently visited a travel site and have seen your hotel promotion in the last 30 days — you can’t buy that with a traditional buy. What Would It Mean Tomorrow? Measurement Junkies – One of the biggest lessons we’ve learned from from digital media is that as soon as there are direct marketing style metrics, people want to see them. It would be interesting to see if the numeration of marketing were to extend to brand advertising, but it easily could as people ask not how many impressions an audience could see but how many were seen. Ad Networkification – When all media is served, we quickly realize there are better ways to aggregate audiences then simply by relying on the content our ads surround. Age, location, daypart. All of this then pushes the media providers to create networks across properties to build big enough audiences. Media for Reputation – Pretty quickly we’ll see media buys used for much more narrow uses such as the PR industry. Buying editorial-style print ads is a traditional approach, but if we can buy and place media overnight, it becomes an even more powerful technique for impacting reputation with a specific audience.